At little BIG fitness, my aim is to foster early literacy and language skills and promote family health and attachment in a creative, supportive and low anxiety environment. Who my classes cater for? I cater to families with small children and adults of every age. Why I have created Little Big? This is an opportunity for EVERY BODY to benefit from safe and effective exercise in a low anxiety setting, which will help you reap the benefits for body and mind alike. Little BIG fitness is about long-term health benefits, rather than a quick fix. My own history consists of a long list of studies, which has led to combining my interests and talents into Little Big fitness. But my most life changing experience is being a Mum, and as such, I know how hard it is to make time to lead a healthy life, how important and sometimes challenging being a role model is, and how flat out exhausting, rewarding, exhilarating and amazing an experience it is. The combination of all my skills makes me passionate about sharing my own experience and knowledge with others, and to help EVERY BODY to participate in a creative, safe and effective exercise and learning environment. What makes my classes unique? During the early years of my son’s life I enrolled in a program that encouraged a creative approach to health and learning for my son whilst also allowing me to get my fitness back. This program was called the Baby Fiteracy program, which assisted my son to develop a love for creativity and taught me about the benefits of low anxiety learning environments. 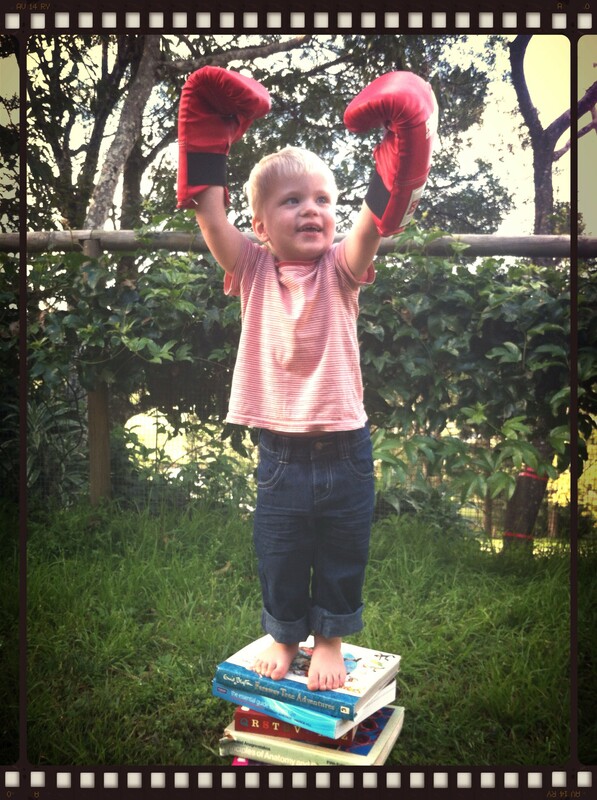 Step forward 3 years, and Little Big is the first approved facilitator to deliver Fiteracy concepts to other families in the Sunshine Coast area. Fiteracy programs aim to support parents and carers in their role of being their child’s greatest teacher and also link all movement activities to early language development. What do classes that include FITERACY feature? Classes that include Fiteracy teaching tools will involve parents and carers being involved in drawing, reading and movement activities with their children. We give you the tools to help you and your child flourish. Fiteracy Facilitator (currently in training). Joanne is also a registered member of Fitness Australia (registration no. 082688) and as such partakes in continual professional development activities.